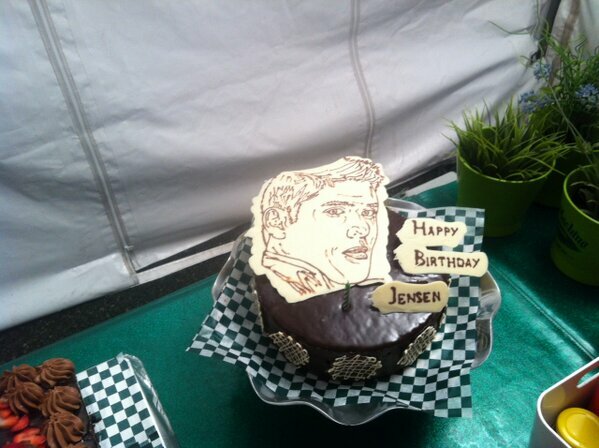 Jensen's Birthday Cake. . Wallpaper and background images in the Jensen Ackles club tagged: jensen ackles birthday cake. This Jensen Ackles photo might contain filzhut, homburg, stetson, trilby, fedora, stetson trilby, markröhre hut, helm, tropenhelm, topee, topi, pith hut, pith helm, sonnenhelm, mark, hut, sonne helm, boater, leghorn, panama, panamahut, seemann, skimmer, hut stroh, bootsfahrer, bein, strohhut, livorno, and panama-hut.